On the 5th October, Lyn St. James, one of the few women who competed as a professional driver in international automobile races, has visited the Maserati plant in Modena together with Joanna Villeneuve, wife to the very popular F1 driver Gilles Villeneuve and mother to Jacques Villeneuve, Formula 1 champion in 1997. Lyn St. James is one of the nine women who qualified for Indianapolis 500, winning the “Rookie of the Year” title in 1992. In her career she won the 24 Hours of Daytona twice, and the 12 Hours of Sebring once. She also took part in the 24 Hours of Le Mans and the 24 Hours of Nuerburgring. After her retirement from the races in 2001, Lyn wrote the book “Ride of Your Life” and she stayed in the world of the races as a TV commentator and associate of the NASCAR race. 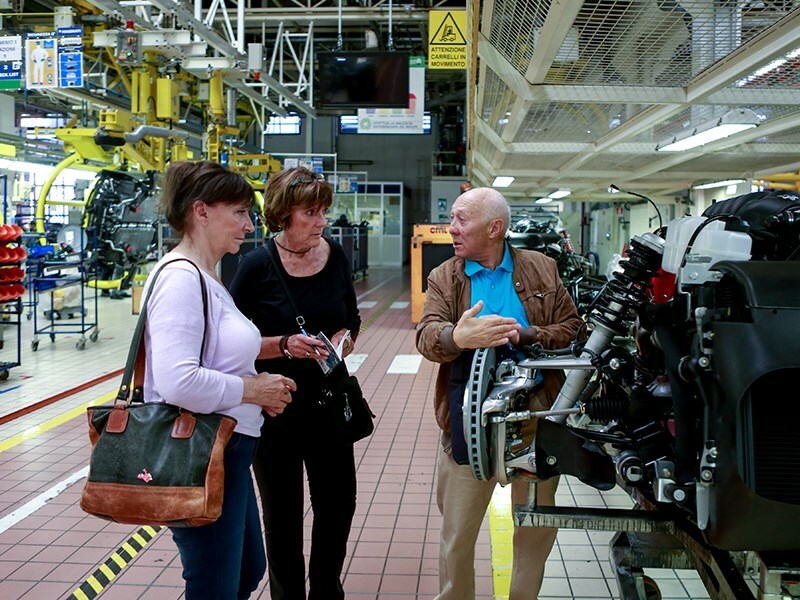 Lyn and Joanna have enjoyed the exciting experience of discovering the history of Maserati, and the line where the GranTurismo and GranCabrio sports cars are manufactured, which are an icon of Italian identity and unmistakeable style. The two guests have then stopped to admire the 6CM, the 1936 single-seater racing car, on display in Maserati’s showroom together with the MC12, the Quattroporte GTS GranSport and the new Ghibli GranLusso.